The SITES research infrastructure includes measurement of many hydrological, physical, chemical and biological parameters in lakes and watercourses. Participating field research stations are close to lakes and rivers of varying sizes all over Sweden. Read more about what the Abisko, Asa, Erken, Grimsö, Röbäcksdalen, Skogaryd and Svartberget stations can offer you as researcher. Abisko offers many opportunities to study limnic ecosystems. In the Abiskojokk river, water flow and chemistry are measured. Groundwater tubes are installed in several locations in the Abisko area, including the Stordalen mire complex. Abisko is part of the SITES Water infrastructure, with measurement equipment installed on and near Almbergasjön lake. Physical, chemical and biological parameters of the water are measured in the lake and in the inflow and outflow streams. 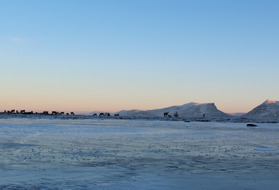 Supplementary data is available for precipitation and ice conditions on Lake Torneträsk. Within the Asa research area and high-yield forest area, water quality is measured in several catchments. Flows are measured, and there is a sampling programme for chemical analyses. Asa offers a broad basic infrastructure of staff, equipment and electricity supply close to these systems. Aneboda research area offers the opportunity for ecosystem studies at catchment level, where water balances and chemical element budgets are calculated. These can be used to study effects on biota, particularly vegetation, and studies of various soil processes. In the Erken lake and laboratory, infrastructure is available that enables studies of climate effects on aquatic systems. Limnic parameters have been measured over a long period, and today comprise chemical, physical and biological measurements in the lake and the watercourses that feed into and drain from the lake. Element budgets and internal circulation in the lake are measured with buoys and sensors, water samples are analysed in terms of chemistry and nutrients, and exchange and turnover with the air are measured with a flux system. The Erken laboratory also includes an analytical laboratory with specialisations that include zooplankton quantification. The Erken laboratory’s extensive measurement programme for the lake, and collaboration with active researchers, has led to participation in several large EU projects examining the effects of climate change and automatic measurements of phytoplankton in lakes. The Grimsö research area includes lakes and watercourses that are not currently measured within SITES. These sites could be interesting to study in terms of, for example, biodiversity, greenhouse gases and species composition. 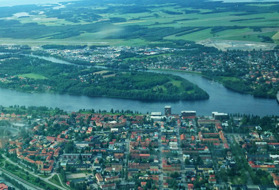 Röbäcksdalen is part of the SITES Water infrastructure, involving the Degernäsbäcken stream that runs through the agricultural landscape of the valley (approximately eight kilometres). The stream then continues to a Natura 2000 area and finally flows into the Bothnian Sea. Various businesses and industries are found along the entire course of the stream, offering many opportunities to study watercourses in urban environments, and the effect on water quality. The vegetation along the stream has been surveyed in terms of species and composition. Within an enclosed area in the Röbäcksdalen valley, surface runoff and drainage water are measured in terms of flow and chemical parameters, including nutrients. Skogaryd comprises six areas, all of which are linked by lakes and watercourses. The measurements enables research and studies of the interaction between terrestrial and limnic ecosystems, and the interaction with the atmosphere. Erssjön represents a typical lake in a (hemi-) boreal forest landscape. 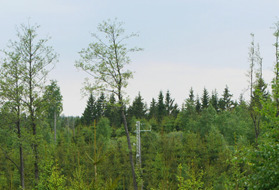 Fluxes of greenhouse gases (CO2 and CH4) are measured with Eddy Covariance (EC) equipment, and water chemistry and carbon sedimentation are also measured. Erssjön is part of the SITES Water infrastructure, and equipment is installed that measures, for example, temperature and oxygen content along the entire vertical profile of the lake. Nine streams flowing through the Skogaryd landscape are measured for flow and chemical analysis, at least monthly all year round. Följesjön lake is a mixture of lake and swamp. The area is distinguished by high emissions of methane deriving partly from surrounding catchments. 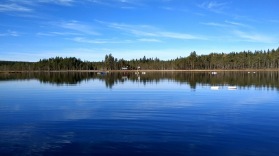 In periods, Följesjön lake can emit up to 45 times more millimol methane per square metre and day compared with a normal forest lake in the same climatic zone. 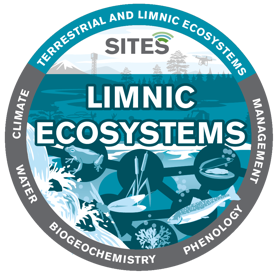 Equipment installed in limnic ecosystems near Skogaryd offers opportunities for studies at ecosystem and landscape level of many different processes and flows of materials and energy. At both lakes, Erssjön and Följesjön, there is access to electricity, fibre-optic Internet access, paths, boat, raft, tower and bridges. Measurement programs and research has been taking place at Svartberget station since 1920, with greater intensity in the past 30 years as research into hydrology and biogeochemical cycles has developed. The Svartberget research areas includes Krycklan, an intensively studied drainage area and one of the most ambitious projects in the world, combining water quality, hydrology and aquatic ecology in running water in a boreal region. Krycklan comprises 16 streams of varying size, which converge before flowing into the Vindelälven river. The streams are mainly measured in terms of flow and physical and chemical parameters. Biological parameters, such as fish and DNA, have been studied sporadically or via specific research questions studied by individual researchers. The catchment areas that comprise the Krycklan system vary in size and character; forest-dominated areas, mire-dominated areas, lakes and mixtures of these. 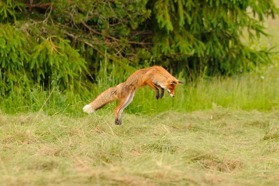 This offers unique opportunities to study consequences of how different habitat types are affected by different processes. One of the streams flowing through Krycklan, adjacent to the Stortjärn lake, is studied as part of the SITES Water infrastructure. 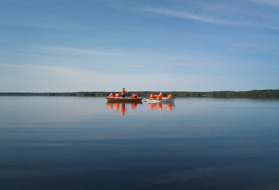 In recent years, Lake Stortjärn has been equipped with more fixed installations, and electricity and fibre-optic Internet access are now available on the lake. In addition to equipment in watercourses and lakes, groundwater tubes of various types have been installed at various depths in mires, forest ecosystems in moraine soil, and in finer-grained soils. There is also equipment for sampling soil water at many sites in the catchment area. 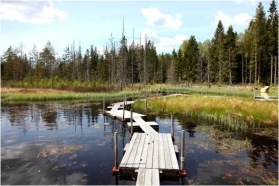 The opportunity to collaborate with Svartberget on a landscape scale offers researchers the potential to investigate links between terrestrial and aquatic systems by applying environmental problems and models relating to water management of aquatic ecosystems, upscaling from small to large watercourses, and anthropogenic effect. Tarfala is part of the SITES Water infrastructure, with a focus on Tarfalasjön lake, which is at the top end of the Tarfaladalen valley. 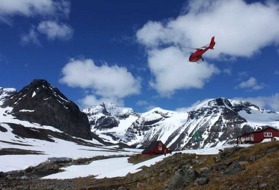 The valley is a tributary of the Kalixälv river, a unique environment that is gradually changing in response to the decreasing volume of the glaciers. Tarfalasjön lake is 52 m deep and has a submerged profile that registers temperatures every 50-100 cm. From the lake, the stream flows southwards. Flows and chemistry in the stream have only been measured sporadically, as permanent installations present a challenge in environments with such extreme ice, snow and wind conditions.